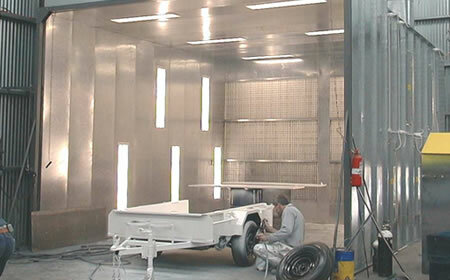 When painting commercial trailers or industrial semi-trailers there are many options available. 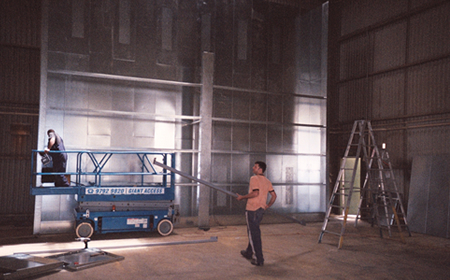 In many instances where higher volume production is required a Truck Spray Booth complete with heating will offer the best solution. 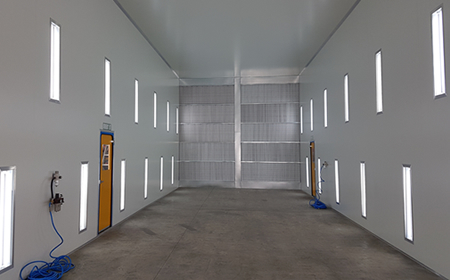 However where the spray painting occurs in lower volumes ( Not production line volumes) and the solution required must be simple and economical a Crossflow or open type industrial spray booth may best suit your application. 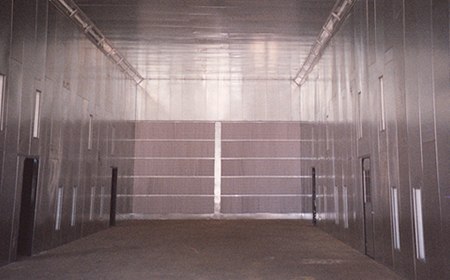 We offer truck trailer spray booths that let you place your personnel doors and lighting fixtures wherever you want to. This lets you customize your spray booth to cater to the equipment that you’re painting. 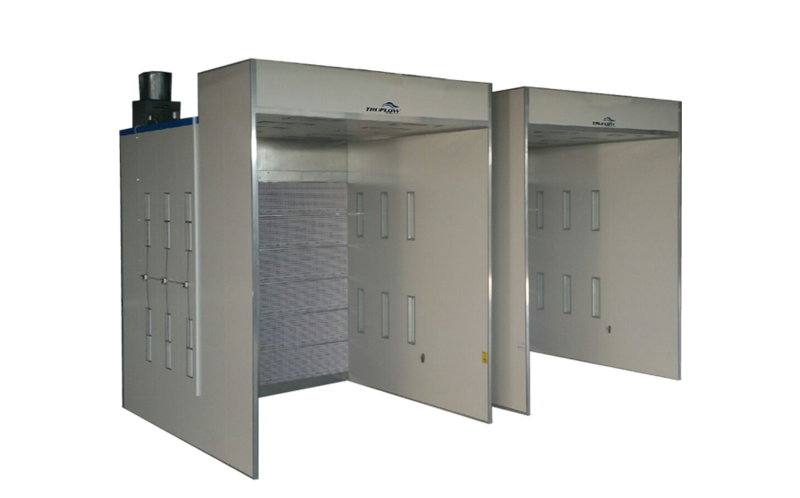 We also offer this range of booths in either insulated panel construction or Sheet metal modular panels. Insulated Panel – White panels with central insulation in either 50mm/75mm or 100mm Thickness panels. 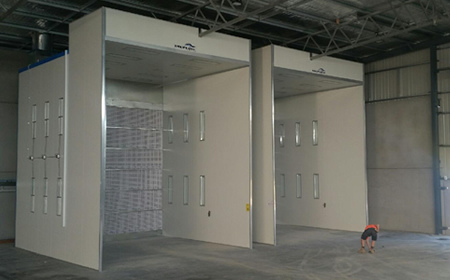 These booths are professionally installed by skilled and experienced TRUFLOW technicians to esnure a professional finish. 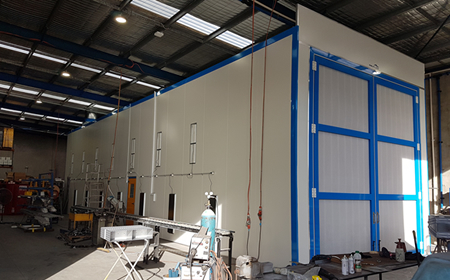 Due to the construction methods required and trade skills to install this type of spray booth, insulated panels construction booths do not come in kits – they are always supplied and installed by TRUFLOW. 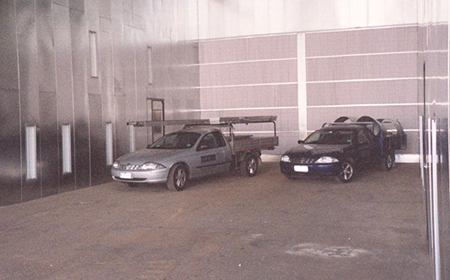 Sheetmetal kit Spray Booths – In either galvanised finish or colorcoat white these single skin panels are manufactured from 1.00mm steel and are CNC Punched, pressed and formed to be bolt together kits. Due to the engineered nature of these panels they come complete with drawings and assembly instructions and can be provided as a complete modular kit for customers to install themselves. 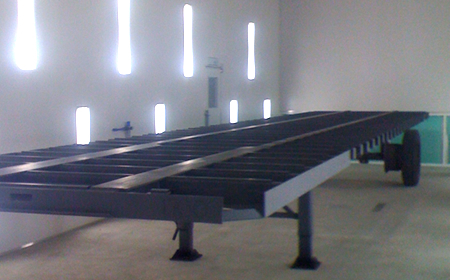 We are proud to be providing these kit spray booths Australia Wide and even internationally.